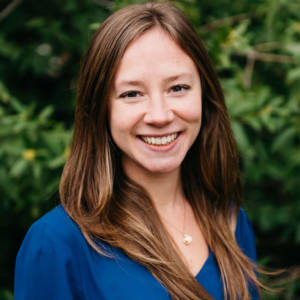 Dr. Caitlan Gignac is a naturopathic doctor who is dedicated to supporting people in becoming their healthiest selves and feeling their absolute best, both physically and mentally. She provides a natural approach to healthcare that combines traditional healing wisdom with advanced modern medical techniques. She educates people about the root cause of their symptoms, and how they can improve their overall health and wellness. Her individualized treatment plans take into consideration the physical, physiological, and mental-emotional pieces of each unique person, and can include a combination of dietary and lifestyle recommendations, nutritional supplementation, botanical medicines, bio-identical hormone replacement therapy, homeopathic remedies, and counselling. Dr. Gignac received her doctorate in Naturopathic Medicine at the Boucher Institute of Naturopathic Medicine in New Westminster, BC, Canada. She obtained a Bachelor of Science degree in biopsychology from the University of British Columbia in Vancouver, BC. Read her Yelp reviews here. Dr. Gignac loves spending time in nature, and can often be found exploring redwood forests, ocean beaches, and mountains in the Sierra Nevada. Dr. Gignac is one of the best doctors I have seen! She is compassionate and listened when other doctors wouldn't. She is very knowledgeable and helped identify the root cause of my health concerns. She has provided me with effective, natural treatment. I would highly recommend Dr. Gignac. caring doctor who listened to my concerns with compassion and investigated my symptoms thoroughly. The natural treatments she recommended were very effective and I feel great! Thank you. Highly recommended. Dr. Gignac is an absolute pleasure to work with. I went to see her for hormonal imbalances that were taking a major toll on my quality of life. She listened to my concerns with a high level of compassion, and was very knowledgeable when it came to treatment options. Since following her recommendations, I have noticed a huge improvement in my original symptoms, as well as several other areas of my overall health. I would highly recommend seeing Dr. Gignac if you want to improve your health and well-being!